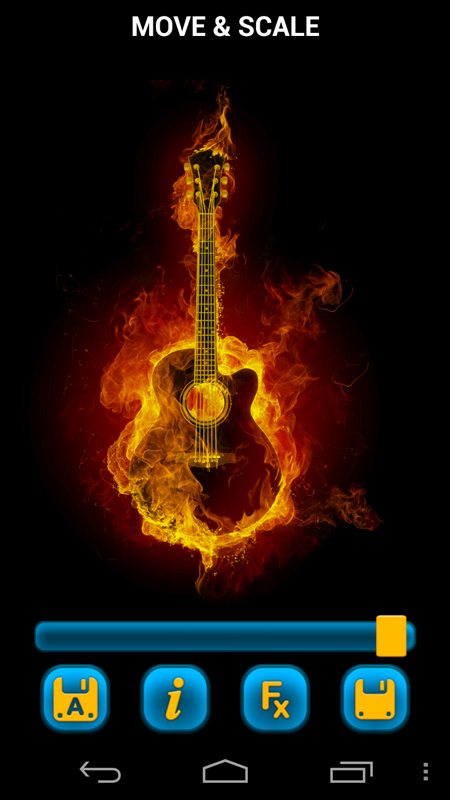 Get your fingers ready and set your favorite instrument as your wallpaper! 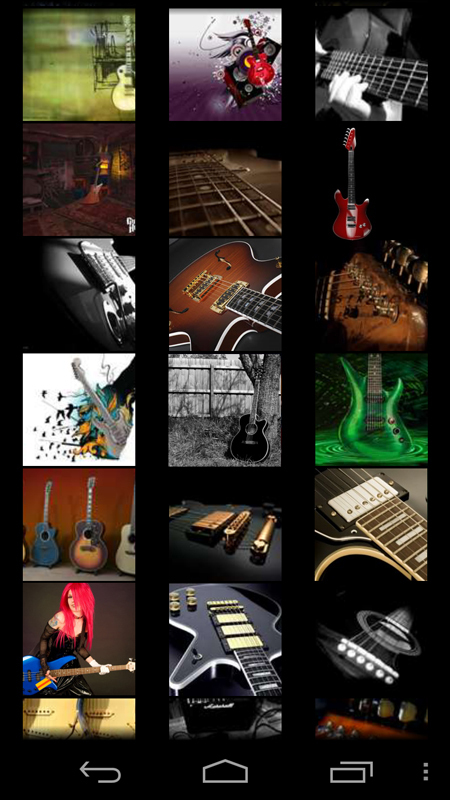 Choose your perfect music background from the wide range of various guitar pictures. Change your wallpaper when you come across a better one. Keep your strings tightened and feel the vibe! -Easy-to-browse interface enables you to find the desired background in no time! - Customize the wallpaper to fit your taste and screen! - Zoom, un-zoom, rotate, move, scale, adjust brightness, add various effects and save your ideal design! 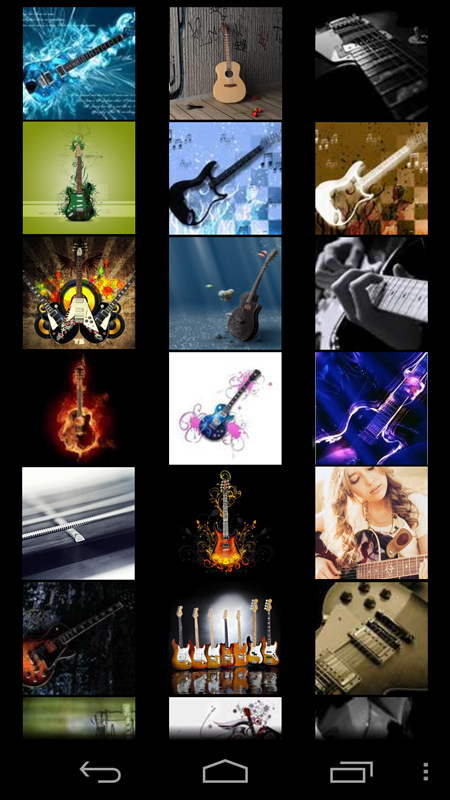 The guitar is a plucked string instrument, usually played with fingers or a pick. Most quality guitars are fashioned from solid wood but they can also be made of plywood, fiberglass, or steel. 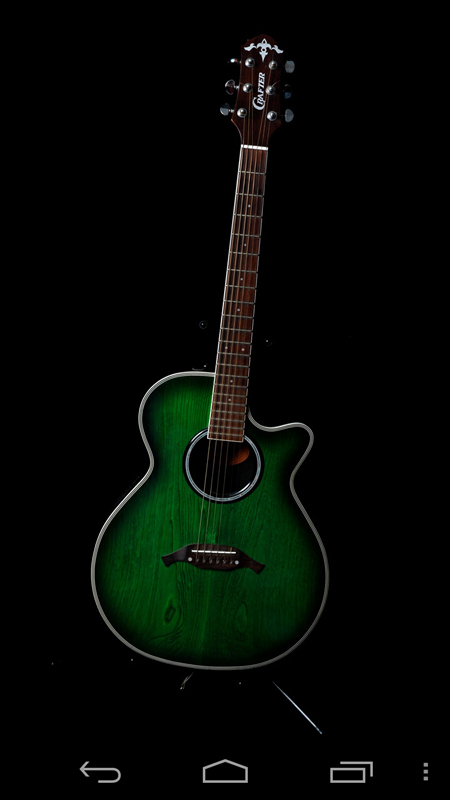 They can be solid body electric, hollow body acoustic or semi acoustic, a combination of both. Despite these differences all of them share certain components and parts.